Interesting news about Exeltech and the diverse people who really make this place excellent! A bit about me and the journey which led to the poem above. I have written poetry throughout my career; It has offered a balance to the mathematics and rigid constraints of engineering. At Exeltech I connected with the staff and managers very quickly, not only on an engineering and public service basis, yet also on a deeper and poetic level. Soon I was to be referred to as the poet laureate of Exeltech, wright before reading a poem in front of the company for the first time. It was an amazing and liberating experience. Shortly thereafter I began to toy with an idea for a poem, Exeltech, the excellence you expect. These lines lived with me for some time, occasionally getting jotted down in a new version. Recently on my typical walk, eat an apple lunch, the words came into view a bit more clearly. At this year’s annual Exeltech Party the Exeltech employees again recognized coworkers for excellent leadership, teamwork, and innovation. These are the 2016 Excellence Award winners! Excellence Awards were presented for Leadership to Jon Adkins, Josh Ranes and Michelle Rhodes, Excellence awards for Teamwork were presented to Heidi Clayville and Heidi Ramos and Excellence awards for Innovation were presented to Bonnie Lyon and Saeed Javidi. Several Exeltech employees attended the ACEC of Washington 2017 Engineering Excellence Awards in Bellevue, Washington. It was an enjoyable evening learning about all the great projects and a chance to catch up with fellow colleagues and friends. A Bronze award was given to Exeltech for the City of Des Moines Redondo Boardwalk Repair Project in the Best in State category. The Redondo Boardwalk in Des Moines received significant damage from an unprecedented storm in November of 2014. Since then the boardwalk has been closed. Exeltech is providing structural engineering and environmental permitting services to restore the boardwalk. Restoration includes boardwalk demolition of structural members that support the deck; repair of girders, stringers, and brackets; replace decking; replace ADA curb ramps, provide traffic control, and environmental services. 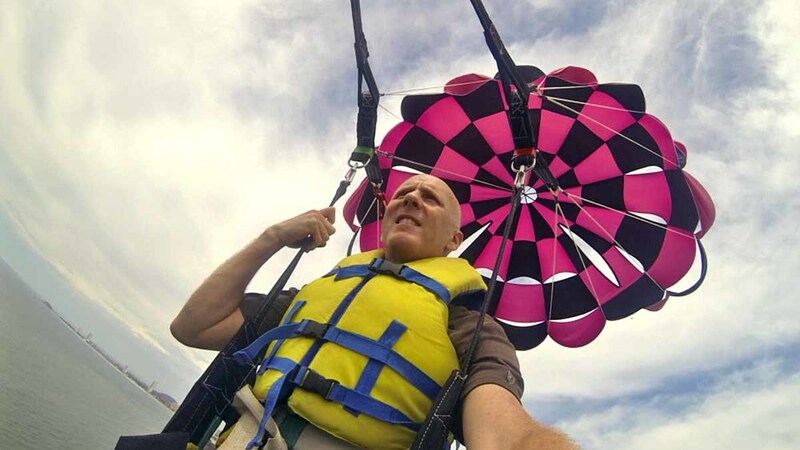 Ken Gaer our Corporate Systems and Communications Specialist and his family vacationed at Mazatlán, Mexico where he tried parasailing for the first time. Awesome feeling! Exeltech is celebrating 25 years of excellence. Thanks to everyone that helped us get here. We really appreciate it. It's been an amazing adventure. THANK YOU, THANK YOU! Ooh and check out the special logo! Exeltech shepherded two awards for the City of Des Moines Saltwater State Park Bridge seismic retrofit project. The APWA 2016 Project of the Year Award - Category: Structures $5 Million to $25 Million and the ACEC 2016 Bronze Award. Exeltech’s role: Prime consultant for design and construction management and inspection. Jon Adkins our Dir. 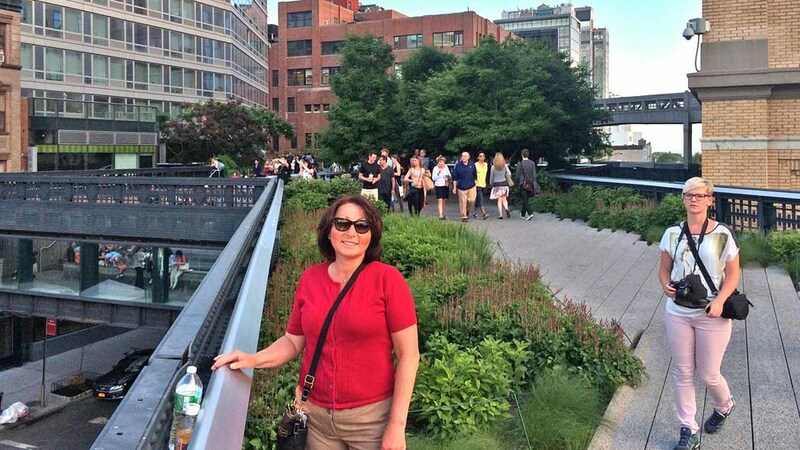 of Environmental & Planning Services and his wife, visited the Highline in Manhattan. It is a very cool repurposing of old infrastructure into an urban greenspace/pedestrian path. Every year, Exeltech employees recognize coworkers for excellent leadership, teamwork, and innovation. The 2015 winners were unanimous! An Excellence Award was presented for Leadership to Josh Ranes, Excellence awards for Teamwork were presented to Tawni Russell and Heidi Clayville and Excellence awards for Innovation were presented to Karl Kirker and Dmitri Suslikov. October 2014 – Exeltech was named one of the top 100 fastest growing companies in the Puget Sound Region. Exeltech ranked #40 for the Puget Sound Business Journal’s 100 Fastest-Growing Private Companies Awards. Great Job to everyone who has helped get us to this place. It is truly an honor!